The historic town of Taormina, Sicilia, had the “honor” to host the G7 leaders for their annual meeting from 26 to 28 May 2017. The town was chosen to relaunch Sicily, known for high unemployment and brain drain. This was the 6th summit under Italian presidency, with prime minister Mr. Paolo Gentiloni as the host. The other participants were Ms. Theresa May of the UK, Ms. Angela Merkel of Germany, Mr. Shinzo Abe of Japan, Mr. Emmanuel Macron of France, Mr. Justin Trudeau of Canada, Mr. Donald Trump of the USA, and two representatives of the European Union, Mr. Jean-Claude Juncker and Mr. Donald Tusk. 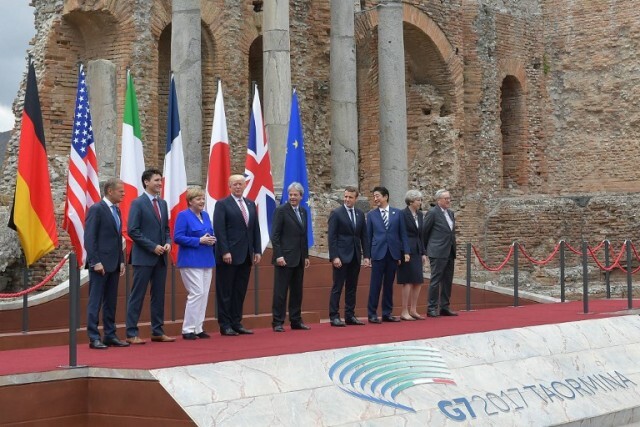 Here is a link to the G7 Taormina Leaders’ Communiqué, which confirms a lack of consensus between the USA and all other participants on the Paris Agreement. This dissensus was not too helpful to improve the international business climate image of Sicilia. The main business and investment promotion site on Sicilia is at http://www.sprintsicilia.it/en/. Their English section, however, has not been updated for some time. Sicilia (Sicily) ranks 8th among Italian administrative regions, and takes the 8×8 slot within the G8x8. With their 86.8 billion € GDP of 2015, the territory contributed 5.3 percent to the total GDP of Italy.